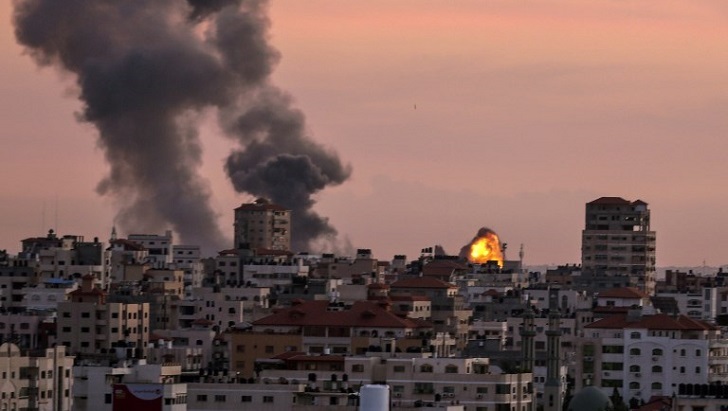 "Fighter jets and aircraft struck several military targets in a Hamas compound in the northern Gaza Strip in addition to two Hamas vessels," a statement from the army said. The attacks were in response to a rocket fired from Gaza late Saturday that "in addition to the continued violence emanating from the Gaza Strip," the army said. The rocket hit an open field in Israel's Eshkol region, causing no casualties or damages. Gazans have been launching balloons carrying explosive devices at Israel and stepping up attempts to damage the border fence on a daily basis for more than 10 day, prompting Israeli retaliation. At least 253 Palestinians have been killed by Israeli fire since March 2018, the majority shot during weekly border protests and others hit by tank fire or air strikes in response to violence from Gaza.